as an neat way to announce my Shamrock Give-away winner! So, without further ado, here are my 5 randoms! I finally hung up my St. Patrick's wreath! (and snow and ice) just kept me from wanting to do so till today! 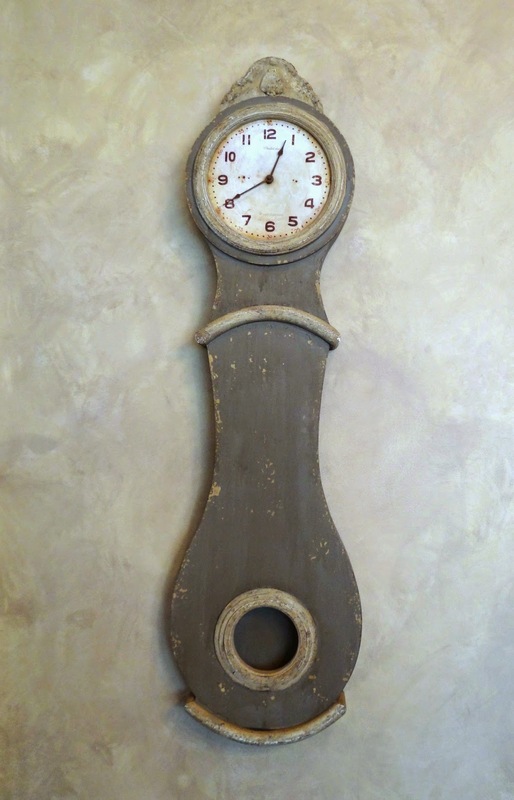 a fabulous large Mora wall clock. and I never really featured it before. to a more prominent spot, but that means wall repair. with terrapins and dragonflies here at Finch Rest! of the size of this wonderful 20 year old tree. Tomorrow is my handsome husband's birthday. I've shared this pic before. he fights me about getting pics of him. He prefers to be behind the camera. I understand that, too, so certainly don't fight him too hard about it. of The Joy of Home with Martha Ellen blog!!! gave my husband a haircut and did my hair. She's a licensed stylist that makes house calls for us. We are so truly blessed. 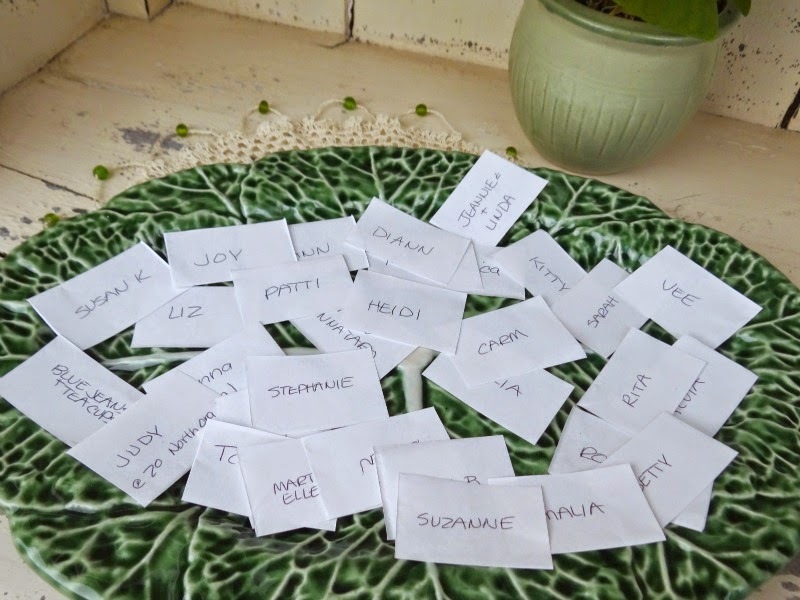 I put a name in a big bowl and pulled a name out. fabulous ladies who joined in the fun! and for your sweet and treasured comments. 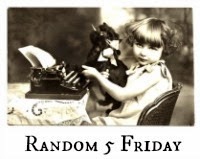 So be sure to hop on over to share your own "random five facts"
Michele, what a great post and link party - I visited Willy Nilly, and I love the concept! Your husband is indeed handsome (♪♫HBDay to him♪♫), your clock is beautiful, and congrats to Martha Ellen. Have a great weekend! Love the old clock -- I will have to Google "mora". Thanks for joining in! Well, darn it, I missed the giveaway, because I'm slacking on my visiting.... Congratulations to the winner though! It was great getting to know more about you! That picture in your last post is unreal.... I've never seen an icicle that big. Wow! Thank you for visiting my Home Romance. I´m now following you, loved the blog! Handsome husband. Tell him Happy Birthday. You don't know how refreshing it is to see you just pick a piece of paper with a name on it instead of doing that Rafflecopter thing I just hate. I love your shamrock wreath, Michele! Coincidentally, I thought about putting my St. Paddy's Day flag out today, as well. :) I was sooo glad to see the sunshine again, even though it was still quite cold today. Your clock really is lovely! Happy Birthday to your husband and congrats to the giveaway winner. :-D Have a wonderful weekend! Your posts are always a delight, dear Michele :) I thoroughly enjoyed your random facts and may I wish your husband a Happy Birthday! Congratulations to the lovely winner :) Hugs to you! Happy Bday to your dh! I am the 7 th of March too. Bthank God it isn't going to snow again tomorrow. The 7th Annual St. pat's Blog Crawl is Wed! Your wreath is beautiful! I'm assuming you made it ~ :) Your husband is very handsome ~ hope his birthday is special! I like the random 5. Hope to get back to blog land. I'm glad you're surviving the weather! Happy birthday to your husband. A truly beautiful clock. Have a great weekend. Happy Birthday to your husband, Michele! What a lovely couple you make. Your wreath is very pretty and made me smile. Enjoy your weekend! Happy Birthday to hubby! Love the clock. Fun wreath. 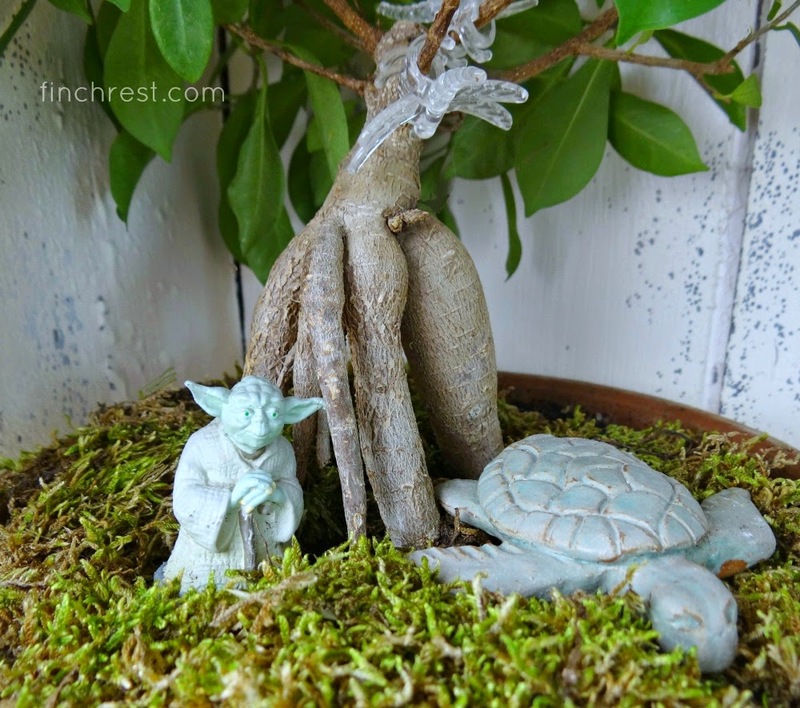 Yoda under a bonsai tree -- just seems right!!!! Have a great weekend! happy birthday to your hubby! congrats to the winner, how fun and i love that clock!!! thank you for linking and have a great weekend!! Absolutely delightful Randoms! I am so glad you joined in! 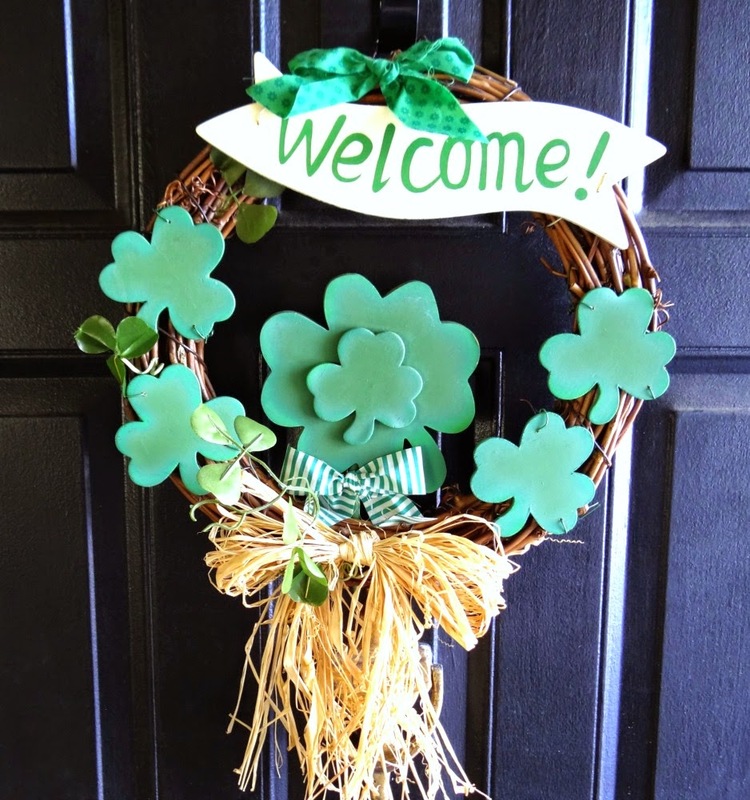 How great you have a St. Patrick's Day wreath...it's so cute! Love that you had a give-away. Congrats to the winner! And I LOVE that wall clock! It's to die-for! Your hubby is handsome. Happy Birthday to him! Great-looking bonsai too. All my best---hope you keep coming back! 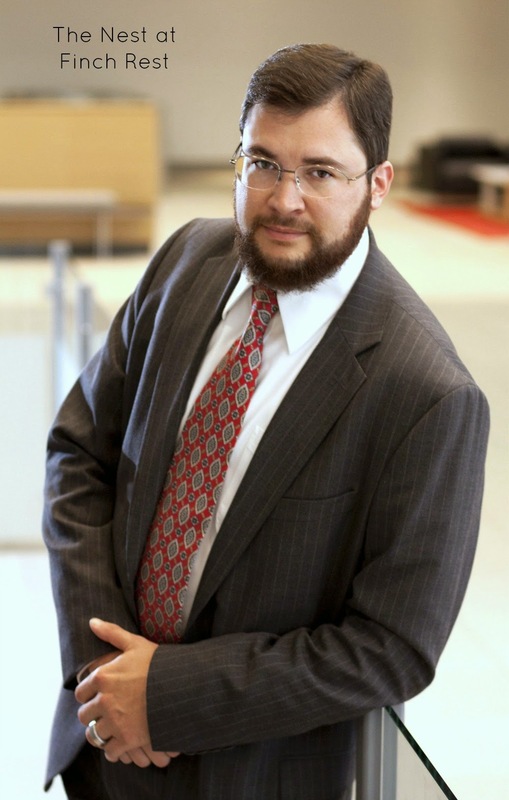 I'm new to your blog (will be following you now) and love it. - That is a pretty wreath but I really like your clock. Happy Birthday to your hubby, tell him he's quite handsome and shouldn't be shy about having his picture taken. I love Bonsai trees, they are cool and Yoda is just as cool. I've had several of my earlier blogging friends ask me about bringing it back...Now, your hubby sure would be a great feature. (if he'd go for it at all, that is....) :) Oh, yes....ain't life grand. A nice selection of randomness! And a happy birthday to hubby. Hi Michele, Love your clock and you do indeed have a handsome husband! Happy St. Patrick's Day, Michele.